It would have been more interesting if LFB-TV had the possibility of not only screening Mondeville's encounter with Clermont-Ferrand but also Villeneuve's match against USVO. Mondeville and Villeneuve were at that moment in direct competition for fourth place. Villeneuve like Mondeville started their matches well and led after the first period. This situation favoured Villeneuve with them being already positioned fourth before round 26. However neither side was able to maintain their advantage and lost their respective games by 16 and 11 points respectively. Despite the set back for Villeneuve, they managed to hang on to fourth place while Mondeville dropped into sixth position. Challes-les-Eaux were pushed hard by Mourenx but held on to win and finished the season in fifth place. Bourges Basket managed to pick themselves up from their defeat in the EuroLeague Women final to beat Aix-en-Provence in their 500th game in the top division (73-69). Belinda Snell dished out 9 assists in this match and Emméline Ndongue (left) was the main recipient to finish with a game high 20 points. Anda Jekabsone was the top scorer for Aix with 17 points. If not for her early foul problems, she could have caused Bourges a lot more problems. Bourges appeared to have the game wrapped up leading (69-56) with just four minutes remaining. Pierre Vincent's policy of turning his bench almost backfired as Aix came storming back with a 7-0 run. But they were unable to close the gap. Emmanuel Coeuret's inside knowledge after nine years at Mondeville helped his side, Clermont-Ferrand to do the double and end the dreams of EuroLeague basketball for Mondeville (82-71). 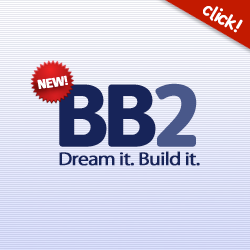 This is a match you can watch on LFB-TV. Mourenx played their last match in the LFB with only six players. Polina Tzekova and Penda Sy were absent. Chandi Jones got Challes-les-Eaux off to a good start as they raced off to a 7-1 start. Mourenx fought back and levelled the match (11-11). Both sides fought tooth and nail for the remainder of the first period with Challes holding on to the lead (20-17). The rest of the match followed a pattern of Challes going on a run and then Mourenx reducing the deficit. Challes transformed a (61-52) third period advantage into a comfortable (75-58) lead. Yet Mourenx did not give up and finished strongly but ran out of time allowing Challes-les-Eaux to win (80-74). With this victory Challes finished the season in fifth place which should secure them European Basketball next season. Sarah Michel is making up for lost time as she led the scoring for USVO with 19 points as they beat Villeneuve (75-59). Nicole Ohlde marked her return to form with 19 points and 10 rebounds. Ohlde battled in the paint with Shala Crawford and Géraldine Robert. Crawford also compiled a double-double with 14 points and 10 rebounds. Tarbes are ready for the challenge round. They won against Reims (80-63). Isabelle Yacoubou-Dehoui was only a spectator for her side's victory as she was resting her ankle. Tarbes did not get off to a good start but recovered with a 12-0 run to lead (21-16) by the end of the first period. Reims never really recovered from this onslaught and fell further behind leaving Tarbes with a comfortable lead at the interval (49-30). 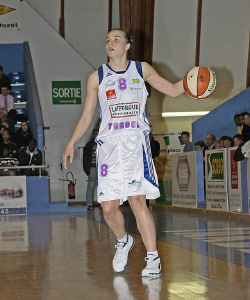 Clémence Beikes (above) led the scoring for Tarbes with 18 points. But it was the performance of Alex Kusion that swung the match in favour for Tarbes. Zuzanna Klimesova led the scoring for Reims with 17 points. However this was not enough to stop Tarbes from winning (80-63). Sheana Mosch scored 26 points in leading Arras to victory (84-76) against Saint Amand. She also secured her first position in the scoring charts. The match itself was a ding-dong affair that was only decided in the final minute. Sylvie Gruszczynski and Mosch held their nerves from the charity shripes. 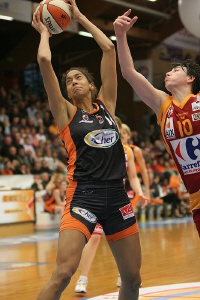 Tamara Moore scored 19 points for Saint Amand. Gaëlle Skréla scored 27 points as Montpellier beat Calais (87-75). A (28-14) third period run by Montpellier put them firmly in control. Although Perrine LeLeuch was hitting three-pointers at crucial moments for Calais her side never abdicated but were not able to claw back the deficit.